Jyotish Chandra Guha was arguably the most important official in the history of East Bengal. J.C. Guha, as he was commonly called, assembled some of the greatest and most successful teams for the Red & Golds and was responsible for bringing the famous ai?? ?Five Pandavasai??? to the club in late 1940s. Serious and bearing a paternal attitude, Guhaai??i? ?s eye for talent was impeccable and he turned a lot of unknown names to star players. Interestingly, the East Bengal official didnai??i? ?t rate P.K Banerjee as highly as some of the other experts of that era. 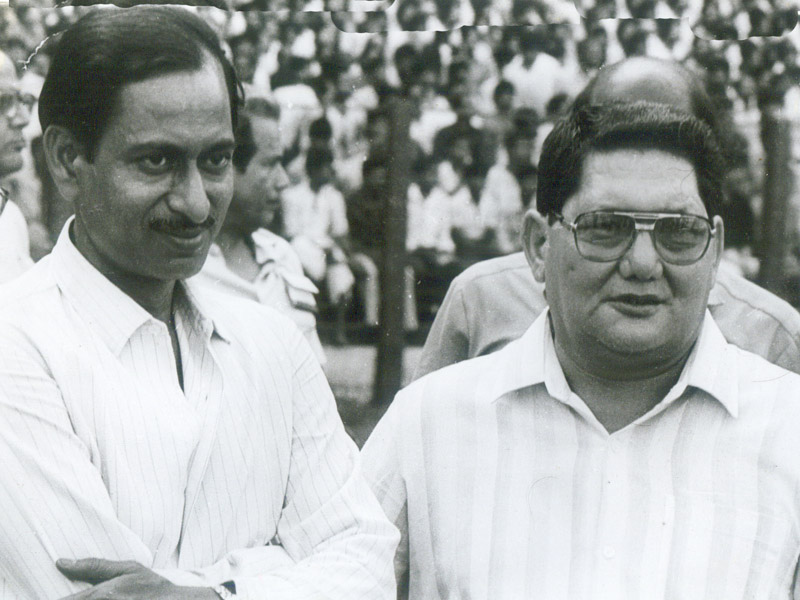 Banerjee, quite possibly the greatest winger in history of Indian football was at the peak of powers at that time. Guhaai??i? ?s logic was simple. He pointed to one of his most favourite players in the East Bengal line-up and would say that if PK was such a great player then he wouldnai??i? ?t have been marked out by that man so easily and so often. Guha may have been slightly exaggerating in the praise of a player of his team but he was also correct to a large extent as Ram Bahadur Chhetri more often than not kept the most skillful players of his generation at bay. Ram Bahadur was born in Dehradun in 1935. His father was a peon in Forest Research Institute of Dehradun. The beautiful hill town would later go on to contribute a number of great players to the national team but at that time Dehradun was a distant cousin to the power centers of Indian football in Calcutta, Hyderabad and Mysore. Ram Bahadur started his senior career even before he turned 20 and joined local Amar Jyothi Club in 1954. For next two years he would hone his style of play and skills in local matches and also represented Uttar Pradesh in Santosh Trophy. His big break finally came in 1956 when he participated in the DCM Trophy with Vijay Cantonment of Dehradun. The DCM trophy was one of the most popular tournaments in Northern India in those days and would give rise to stars like Inder Singh later. Ram Bahadurai??i? ?s team was expected to struggle in the tournament and their only previous appearance in the same tournament in 1954 had seen them go out in quarter-final. Few would have anticipated Vijay Cantonmentai??i? ?s brilliant performances in the DCM Cup that season. They knocked out Uttar Pradesh Police in second round, following it up with a narrow 1-0 win over Tata Sports Club in third round. The quarter-final pitted them against local side Ambala Heroes which they duly won 3-0. A historic first final awaited them and on their way stood East Bengal. The Red & Golds may have lost sheen from their golden era of Five Pandavas but still had a strong team with the likes of Byomkesh Bose, Kittu, Ahmed Khan and Venkatesh and would win the Durand Cup just two months later. Vijay Cantonment gave their illustrious hosts a tough competition with the 21 year old Ram Bahadur playing especially well in midfield. East Bengalai??i? ?s quality eventually shone through in a 2-0 win but the young half had impressed J.C Guha as he was immediately given an offer to join East Bengal. In a lot of ways, Ram Bahadur was a pioneer as he was one of the first players from Dehradun to successfully move to a bigger club, beginning his remarkable East Bengal career in 1957. 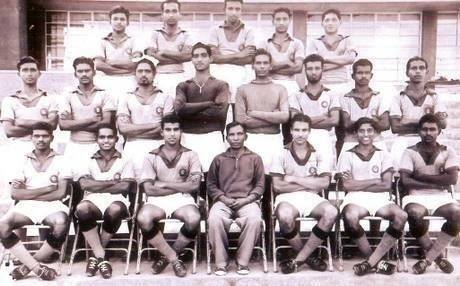 In 1957 Ram Bahadur had joined an East Bengal side in transition. The remaining members of the famous Pandavas team were ageing as the Red & Golds looked to newer players to rejuvenate their squad. Along with Ram Bahadur, another inside forward named Tulsidas Balaram would join East Bengal the same year, following Ram Bahadurai??i? ?s path of becoming an absolute club legend. Ram Bahadur usually operated as a left-half in 4-2-4 or 3-2-5 formations and was often given the job of marking the likes of Chuni Goswami and PK Banerjee. And he was successful in most of their duels. In his very first season with East Bengal he dished out one of his most famous performances, against Mohammedan Sporting. Before that match J.C Guha had told Ram Bahadur, “Today is your final exam. Every spectator in this ground in your examiner. If you can impress them today then you will never have to look back again”. He was playing well when an aerial collision with Salim opened up Ram Bahadurai??i? ?s head and he was profusely bleeding. Refusing to go off the pitch, Ram Bahadur played on with a heavily bandaged head. He tackled ferociously, made a number of goal-line saves and even started bleeding again when he headed the ball clear with his injured head. East Bengal went on the clinch a crucial match 3-0. Spent with his effort, Ram Bahadur collapsed onto the field as the final whistle went off. He might have lost his consciousness at the end of that match but gained a legion of die-hard fans at the same- time. Things were not easy on the field, however. The Calcutta Football League as at the zenith of its competitiveness in that era. East Bengal and Mohun Bagan had their rivalry but Mohammedan was also very strong. What made things even more interesting was the number of quality players in teams like Eastern Railways, Aryan Club, BNR and Khidderpore Club. In Ram Bahadurai??i? ?s first season East Bengal didnai??i? ?t get a lot of success on the field, winning only the DCM Trophy (defeating his ex-club Vijay Cantonment 7-0 in quarter-final). The league title went to the Black & Whites as Mohammedan clinched their first title of 1950s. Ram Bahadur had managed to turn heads with his performances as Mohun Bagan tried to sign him after his first season. However, the Dehradun man was loyal to the club and especially to J.C Guha and refused to sign a more lucrative contract with the Green & Maroons. 1958 was an even more unique season. Powered by the likes of P.K Banerjee, Pradyut Burman and Prasanta Sinha, Eastern Railways upset all odds to capture the Calcutta League. Till date, they remain the only team outside Kolkataai??i? ?s big three to win the league in post-independence era. East Bengal once again struggled in the league finishing behind both the champions and Mohun Bagan. 1958 though, would bring Ram Bahadurai??i? ?s first major trophy as East Bengal defeated Mohun Bagan in a replayed IFA Shield Final to win their first Shield title in seven years. 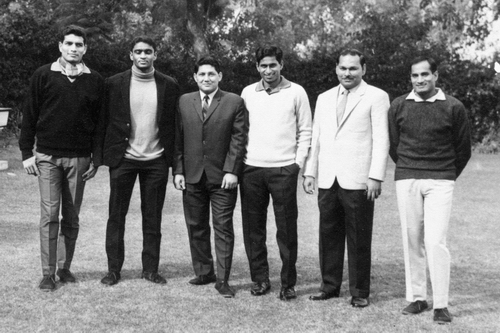 By 1959 Mohun Bagan had strengthened considerably with Chuni Goswami, Jarnail Singh forming the core of arguably the greatest team in the clubai??i? ?s history. East Bengal struggled to compete with their arch-rivals and finished without a trophy. Despite his teamai??i? ?s poor season, Ram Bahadur had a great year personally and was even selected as the player of the season by Calcutta Veteranai??i? ?s Club in 1959. In 1960 Ram Bahadurai??i? ?s consistent performances for his club saw him get the captainai??i? ?s arm-band. And the tide soon turned. Arun Ghoshai??i? ?s entrance solidified the Red & Gold defence. Their midfield was already strong with Ram Bahadur and Balaram had hit his peak form at club level. Under his captaincy East Bengal ended their streak without a major trophy by winning the Durand Cup in 1960/61 season, though they were crowned joint winners with Mohun Bagan. Ram Bahadur, along with Arun Ghosh was instrumental in the Durand Final and snuffing out Chuni Goswami and Co. with great expertise. 1961 was Ram Bahadurai??i? ?s best season in the club in terms of trophies. East Bengal won their first Calcutta League title since 1952 and to make things even sweeter they defeated Mohun Bagan both times in the league with identical 1-0 scorelines. The Red & Golds completed their first League Shield double after sealing the Shield title jointly with their arch-rivals. 1962 would see Ram Bahadur play a crucial role in his clubai??i? ?s second ever Rovers Cup trophy. In 1963 East Bengalai??i? ?s team had lost two of its brightest jewels as Arun Ghosh and Balaram moved to BNR. East Bengalai??i? ?s once again new look team struggled with Arun Sinha mentored settled Mohun Bagan side. Ram Bahadur though, continued to maintain his performance curve. In an era where forwards would usually walk away with most of the acclaim, Ram Bahadur the left-half stood out for his outstanding consistency. East Bengalai??i? ?s experienced player recruiter Jibon Chakraborty once remarked that he couldnai??i? ?t remember Ram Bahadur playing a single poor match in his tenure at the club. One of Ram Bahadurai??i? ?s greatest adversaries P.K Banerjee marked out his passing, tackling, game sense and intelligence as his greatest qualities. His tackles were particularly famous during his playing days as he had the ability to win possession without playing rough football. Interestingly, despite marking some of the trickiest players of his time Ram Bahadur was never sent off and even his opponents respected him for his clean style. In one of his articles Sailen Manna remarked about Ram Bahadurai??i? ?s untiring style of play and his ability to cover every blade of grass. In modern terms Ram Bahadur was an all-action midfielder who would not only press in midfield but would also pick out defence splitting passes with fair regularity. Very few players have represented East Bengal with such distinction like Ram Bahadur and it was hardly a surprise when he was selected as the ai?? ?Best Midfielder of the Millenniumai??? by the club in 2000. When he signed for East Bengal in 1957 Ram Bahadur had promised club officials that he would play for them till he retired. True to his word, Ram Bahadurai??i? ?s East Bengal career ended with his own career in 1967. Just a year before he retired he would play one of his better seasons, winning a League-Shield double again. He was never a consummate goal-scorer and he scored eight times for his club. Interestingly, Ram Bahadur played cricket and hockey for East Bengal as well, as famousAi? ?historian Ramchandra Guha notes in this article. On 29th August 1960 India faced off against France in Olympic footballai??i? ?s main tournament. India was put in a strong group along with Hungary, Peru and France. The team had gone down 2-0 quickly in the first half against Hungary in the opening match but came back strongly in the second period, making it 2-1 and could have easily equalized. Ram Bahadur was one of the stand-out performers against Hungary and was putting another classy shift against France. His free-kick paved way for P.K Banerjee to put India ahead and Rahimai??i? ?s team was looking for a famous win over the 1958 World Cup semi-finalists. With just few minutes left Ram Bahadur received a pass near his penalty box. Always a cultured passer, he chose to play it out to start an attack rather than hoof forward. Catastrophe struck like a bolt out of the blue as he suddenly slipped and lost possession. Poincon was hovering nearby and he gladly took the gift, denying India a famous victory. It was quite ironical that of all the players it was the highly reliable Ram Bahadurai??i? ?s error which helped France pull level. Both Ram Bahadur and India learnt from their mistakes in Rome and were at their peaks in Jakarta Asian Games two years later. With Ram Bahadur, the combative Franco Fortunato, tough tackling Prasanta Sinha and the versatile Yusuf Khan, it was arguably the greatest midfield in history of the national team. Ram Bahadur was yet again on the money in Jakarta and notched up a number of assists as India reached the final after beating South Vietnam. He started for India till semi-final but an untimely ankle injury ruled him out of the last-four match. Younger Prasanta Sinha came in and played so well that he would eventually go on to replace Ram Bahadur in the national team. According to Arun Ghosh, such was the competition and quality of players in those days that a slight injury, like in this case, could jeopardize the national career of a footballer. For most of his career Ram Bahadur was an undisputed starter for the national team, representing them fifteen times in different tournaments. He also represented Bengal and Uttar Pradesh in Santosh Trophy, winning it multiple times with the former. After retiring at a relatively young age while he was still at his peak, Ram Bahadur didnai??i? ?t remain involved in the game like some of his team-mates. He joined the Oil and National Gas Commission (ONGC) and stayed in Assam till mid-70s before returning to Dehradun. On 4th December, 2000 Ram Bahadur Chhetri breathed his last in Dehradun after a massive heart attack. Few months before his death he made his last visit to the City of Joy, to receive the honour of East Bengalai??i? ?s ai?? ?Best Midfielder of the Millenniumai???. He hasn’t received much recognition from AIFF or Indian government though, despite perhaps deserving at least an Arjuna Award. Sources: History of Indian Football by Nirmal Nath, Mohun Bagan-East Bengal Reshareshi by Manas Chakravarty. Articles in Khela and newspapers. 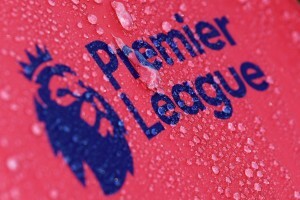 Pictures sourced from dehradunfootball.com.